Once upon a time there was a little boy named Chris, who lived in a make-believe world of bumblebees and Jedi knights. He loved to play with his friends, his mom, and his daddy's Star Wars toys. Even though he was five and a half years older than his little sister, he played with her a little and grew to love her a lot. In the spring of his first grade year his family moved to a new house in a town not so far away, leaving behind neighbors and friends he had known all his life. At his old house his grandfather had planted an oak tree in the front yard as a gift to Chris. His mom was sad to leave the tree behind because to her it was a symbol of his growth and held many happy memories for her. In second grade Chris went to a new school in the town not so far away. 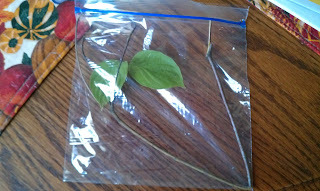 His second grade teacher taught a lesson about how things grow and gave each child a tiny dogwood tree to grow at home. 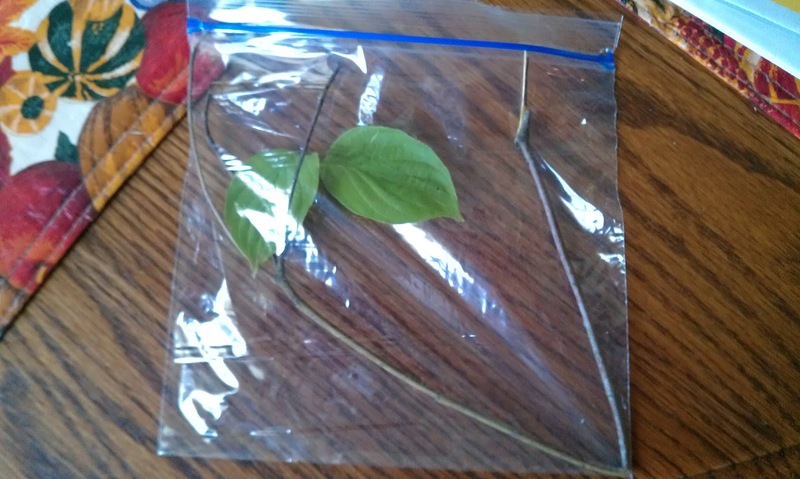 When Chris's mom saw the tiny tree which he carried home in a baggie, she nearly threw it in the trash because she didn't think a twig so small could become a beautiful tree. Still, she couldn't bear to discard a living thing no matter how small, so she planted the tiny dogwood in a patio planter which she would later use as a nursery to give "baby" trees and shrubs a good start for her flower beds and yard. As Chris's mom nurtured that little dogwood tree it began to grow and thrive, just as her little boy did because of the love and care he received from his family, teachers, and friends. Even when the seasons of life were harsh, his mom continued to nurture both her son and the dogwood knowing that without her care, neither would survive the storms and difficulties they would face as they grew. Sometimes it seemed as if the dogwood and Chris were in a competition to see which of them would grow taller or bloom sooner. 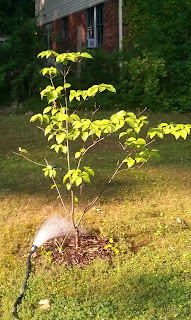 The morning after his graduation, Chris's mom lovingly tended and watered the dogwood that had grown from a twig in a baggie to a nearly six-foot tree in just ten short years. She couldn't believe how quickly the time had passed! As the water from her hose quenched the thirsty tree, a solitary tear moistened her cheek as she thought about her grad and his dogwood, thankful that even after he left home to make a life of his own, the dogwood would remain as a symbol of the amazing young man Chris had become. now go out and change your world! If you raise children or watch the news like I do, then you are probably all too familiar with the unprecedented sense of entitlement held by many of the younger generation and the underprivileged in our twenty first century American society. Many people feel they are entitled to the same kinds of privileges and material comforts that we have earned through the investment of our time and effort. These days, for instance, a graduating senior may think he is entitled to a car, computer, or other expensive gift because he “worked hard and deserves it.” What about the parents who worked even harder to make sure these kids graduate? Those of us who labor for every penny we earn shudder to think how our tax dollars are being spent to support the social abuse system we know as welfare. Certainly, there are times when people need assistance, but to freely dole out dollars without holding the recipient accountable for getting a job within a specified amount of time, or failing to withhold assistance from those who are known drug users or prone to repeatedly produce children out of wedlock, is reprehensible and irresponsible. When will it stop? As Christians, we should give thanks to God for the many blessings to which we are entitled simply because we are his children. We are entitled to claim and receive the promises of his Word. We are entitled to believe by faith that God is who he says he is and that he will do what he says he will do. Grace and mercy are his gifts to us, undeserved but ones to which we are entitled if we walk in obedience to his Word. Just as we don’t like being taken for granted by those we love, live, and work with, God doesn’t like to be taken advantage of either. He is entitled to all the thanks, praise, dominion, and glory due his great Name. Rather than exercise our sense of entitlement for the things of this world because "we work hard and deserve it," let us give all thanks and praise to the One whose great blessings and provision we enjoy because of his great love for us! After I switched on the cappuccino maker so I could brew the coffee needed for my latte, I poured water into the reservoir of my coffee maker, scooped coffee into the filter basket, then flipped the timer switch so I would awake to fresh-brewed coffee. It was at that precise moment that I finally admitted the ugly truth...I am addicted to coffee! One of my earliest childhood memories is having "coffee milk" as a very small child. My mom has always been a coffee drinker and shared her love for coffee with me at a young age. While I normally have more than one cup during the day, I don't think I ever consumed a half gallon of coffee until today. Although I think I have finally ascertained that it is possible for me to have too much coffee in one day, there is one thing I will never grow tired of consuming -- the Living Water of Jesus Christ and the truths of his Word. I will most certainly have to reduce my coffee consumption so I can sleep better at night, but I will never stop drinking from the Fount of every blessing or feasting at the table Jesus has prepared for me (Psalm 23:5). 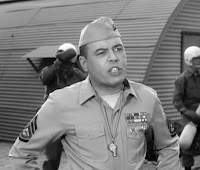 For the past three and a half years, maybe longer, I have felt much like Sergeant Carter in my own household as I have routinely barked commands at my teenager to "Move it, move it, move it!" I don't know what the school system was thinking when it set a 7:00 a.m. start day for high school students, but obviously someone thought it would be entertaining to see the lengths some parents would go to as they battled the circadian rhythm of the teenage population. Don't they know that teenagers are not morning people?! Today is perhaps the last day I will have to threaten drastic measures to get my son out of bed so he can get to school. 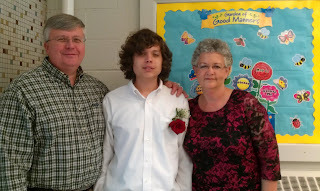 You see, my son's senior year is coming to an end and he will be graduating and moving on to bigger and better things. For me this day could not have come sooner! Sadly, many of us are guilty of spiritual laziness and often justify our failure to reach God's potential because we are too busy handling more important matters. But we must realize that our time on this earth is rapidly coming to a close. There isn't much time to reach the lost ones around us or accomplish God's purposes for our lives. Salvation of the lost is God's highest priority and should be ours, too. If there is something God has placed on your heart to do -- a call to make, a need to meet, or some word of encouragement to give to someone who is desperate for a breakthrough -- what are you waiting for? Get up, pray up, and move it, move it, move it!!! My family helps me "keep it real"
Being a published author is not the life of glamour and excitement one might think. Just like many of you, I live an ordinary life of working, raising children, managing a household, and navigating the problems of life as gracefully as I know how. There is no housekeeper to wash my laundry and clean my toilets, no chef to feed my family, or chauffeur to drive my kids to school. I am as financially challenged as anyone, living paycheck to paycheck. 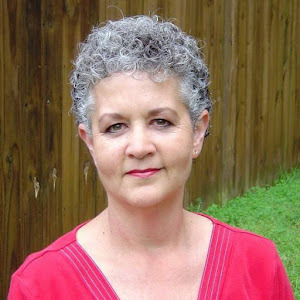 I get fussy with my husband and kids, battle with anger and overeating at times, and spend too much time on the computer and too little time taking in the wonder of God's creation and the life-changing truths of his Word. Why others look to me for advice or inspiration is a mystery to me. I can only surmise that it's not because of who I am, but because of whose I am. You see, I have discovered a God who loves me, cares intimately about every detail of my life, and brings joy to even the most challenging of my days. A long, long time ago I made the decision to ask forgiveness for my sins and receive Jesus' free gift of salvation. I didn't instantly become a spiritually mature woman of God. In fact, I took a seven-year long detour into a very sinful lifestyle which was nearly the death of me. God finally broke through my stubborn insistence that I knew what was best for me and convinced me that his ways are better, so I surrendered every area of my life to him and began walking in obedience to his Word. The reality of having a victorious Christian walk is that every day requires surrender. I still struggle with sin and will continue to until Christ takes me home to heaven. But I have accepted by faith that God is real and I continue to be amazed by all he has done in my life. After all, who but God could turn this wretched sinner into a writer or take the mayhem of my life and turn it into a ministry? My two devotional books, Good to the Last Drop and A Pleasing Aroma, are spiritual snapshots of the reality of living in a fallen world and how God's relevant Word applies to all we face day in and day out. If you click on the book titles in this paragraph you can take a look inside the books for a sampling of what I have written. Both books are available from most online booksellers and can be ordered from your local bookstore. They are also available in Kindle format at www.amazon.com or Nook format at www.bn.com, as well as eBook format at www.tatepublishing.com. Signed copies can be purchased directly from me at www.deedeewike.com. My prayer is that God will help us all realize that by having a personal relationship with him through Jesus and walking through our days in the power of his Holy Spirit, we can find true joy and make a difference in the lives of those around us. Hi, there! Welcome to the first installment of "Devotions with Dee Dee." If I don't get laughed out of cyberspace I hope to upload a video each Monday. Today I am reading "The Duck Family" from A Pleasing Aroma: Inspiring Devotions for Joyful Living. Thanks for taking time to view the video and have a blessed week! It is not uncommon for women to look in the mirror and say, “I’m becoming my mother!” There is something profoundly mysterious in the way that we begin to take on the resemblance and personality traits of our parents as we mature. Every time someone tells me how much I look like my mother, DeJuana, I receive that as a compliment. Truly, she is a beautiful woman. But more than anything, I want my heart to be as beautiful as hers—the heart of a loving and generous woman who sees the needs of others as far greater than her own. As I have matured in my walk with the Lord and witnessed my mother’s spiritual growth through the years, I have grown to love her more with each passing day. We have always shared a special bond, and I consider my greatest blessing in life to have grown up as her child. Mother taught me so much about caring for other people. As a teenager and young adult, I accompanied her on weekly trips to buy groceries for Mary, our maid, who became a well-loved member of our family. Mary’s needs became great as she aged. When she was no longer able to ride the city bus to our home, Mother would drive across Memphis to pick her up and take her back home, often stopping to buy Mary’s groceries on the way. She also saw that Mary received needed medical care—trips to the doctor, the pharmacy, and occasionally the hospital—up until the day Mary passed away at a ripe old age. Several years ago, Mom received a letter from my brother’s former girlfriend, who wrote to tell her what a positive influence she had been in her life. We had not seen this young lady in many years; her letter came out of the blue. Mom’s love, humor, and heart for those in need has touched so many lives. I don’t think she realizes how great her impact has been. 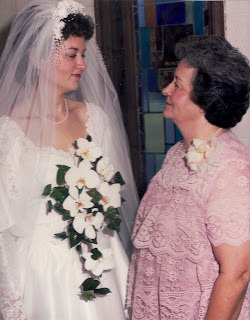 After my dad died, Mom moved my grandmother in to live with her when she was no longer able to live alone. My grandmother fell and broke a hip, suffered from dementia, and required much care. Despite the demands of a full-time job, Mom was faithful to care for her own mother, with the assistance of caregivers, never complaining that the task was too hard. Putting my grandmother in a nursing home was never an option. The thing I appreciate most about my mom, though, is her commitment to pray for her six children, especially when we wandered away from the faith and into self-indulgent, sinful lives of our own. I wandered so far away from my upbringing, yet Mom never criticized or chastised me for the choices I made. Instead, she loved me unconditionally, prayed for me fervently, and rejoiced when I turned back to God. My greatest aspiration in life is to be the kind of woman my mother is, and to teach my children that a life lived from the heart will forever change the lives of others. What do you do when you are faced with a difficult decision or you aren't sure the best way to go about a particular task? Do you allow fear to paralyze you or do you fly by the seat of your pants and just do whatever it takes to complete the task at hand? I often refer to myself as "the queen of trial and error" because that is the approach I take to many things in life. Either the result of what I am trying to accomplish turns out great or I have to go back to the drawing board and try something a little different. But Scripture tells us that we have the mind of Christ. Apparently we either don't understand that concept or know how to think outside our human box and process life with a divine mindset. I'll be the first to admit that I do not completely understand what it means to have the mind of Christ. But I believe the way to draw on his power is through prayer and the study of Scripture. It is through the Word that God reveals himself and his ways to us and in prayer that he communicates with us, Spirit to spirit. If we are to have the mind of Christ, we have to know his character and the promises of his Word, then walk in obedience to them. The next time you are faced with a decision or a task that could be done any number of ways, ask the Lord what he would do. Pray it through and wait for his answer. Make the next step, a step of faith and pray that God will show you clearly what to do or redirect your steps if you are headed in the wrong direction. As we master the art of surrender and pray on all occasions for all decisions great and small, God will begin to impart the wisdom and direction we need to get it right the first time. How does one stay positive in a negative world? Is it possible to find hope in the midst of heartbreak or make sense out of that which we are not meant to understand? Where are the happy endings we read about in fairy tales? During my quiet time this morning I prayed for many friends who are suffering with cancer. Why are so many people sick? Just in my church, people are coming down with difficult to diagnose illnesses which are depleting their strength and energy and baffling their health care providers. Others are simply so discouraged that they cannot function. Any sense of purpose they might have has been overshadowed by the constant distractions of dealing with job and financial stress, relational conflict, and the physical and emotional drain they feel as a result. Sometimes the unthinkable happens to innocent victims. The woman and three girls pictured here were recently abducted from their home by a family friend. That "friend" murdered the mom and older sister before hiding out with the younger two. Although the two younger daughters were found alive and the kidnapper is no longer a threat, these girls have lived through a nightmare that has forever changed them. Please pray for Alexandria, Kyliyah, and their dad as they put back together the shattered pieces of their lives and bury their loved ones. Even the little stresses of life -- broken appliances, flat tires, unruly children -- can come at us from a dozen different directions and leave us feeling battered and bruised. The molehills become mountains which we are ill-equipped to climb. How can we live joyfully when we would rather crawl in bed, pull the cover over our heads, and sleep through the unpleasantness of it all? How can we offer hope to others when we have so little of it ourselves? The answer is simple really. One word. God's Word. As we read the Bible, God reveals himself to us. He reveals his promises for peace (Isaiah 26:3), provision (Philippians 4:19), healing (James 5:16), salvation (Romans 10:13), protection (Proverbs 2:8), and deliverance (Psalm 3:8), giving us hope in the bleakest of circumstances. As God reveals himself to us, we see that he truly is loving (1 John 3:1), all-powerful (Mark 1:7), all-knowing (Psalm 139), capable of doing immeasurably more than we can ask or imagine (Ephesians 3:20). We learn that God loves us so much that he gave everything, sacrificing the very life of his only Son so that we could live free from the death penalty our sins deserve (John 3:16). Because of God's promises, we have hope -- the assurance that he will never leave us or forsake us (Joshua 1:5), that he will supply all our needs (Matthew 6:33-34), that he will save those who call upon his name (Acts 4:12), that he will forgive us when we confess our sins (1 John 1:9), that he has a plan for our lives (Jeremiah 29:11), that he is working all things together for our good (Romans 8:28), and that he is preparing a place for those of us who have received his free gift of salvation (John 14:2-3), in heaven where there are no more tears and no more suffering (Revelation 21:4). If you don't have hope, read God's Word and ask God to reveal himself to you. If you know God, then stand on the promises of his Word in every circumstance of life. Pray that God will use you to make a difference in the lives of those around you. That is a prayer that God will answer because he knows we need more harbingers of hope! Vanity and the fact that I am a Mary Kay Beauty Consultant have long dictated that I not leave home without penciling in eyebrows and putting on lipstick. I mean really, a girl does have a reputation to uphold! This morning I decided to put on my full face (blush, eye makeup, etc.) before taking my daughter to school just in case I wanted to stop in at Starbucks or make a run to Wal-Mart, and I looked great. But after a stressful morning just getting out the door, the dam burst and I cried off every bit of color that I had taken such care to apply. Someone needs to come up with waterproof makeup that can withstand the occasional flood of tears that come with the territory of being a mother. Someone needs to teach a class on how to cry pretty because I am the poster child for the "ugly cry." Thankfully I know that God is greater than our hearts and he knows everything (1 John 3:20) and that no matter how ugly I may be when I cry, he sees the tears of a mother's broken heart as a thing of beauty. I take comfort in knowing that he holds my tears in his bottle (Psalm 56:8) and promises that those who sow in tears shall reap in joy (Psalm 126:5). Since I have cried my "cleansing tears" and gotten the stress out of my system, I will return to the bathroom and reapply my makeup for the day. If you need a good cry today, just know that God is with you and he will wipe every tear from your eyes. A day will come when there will be no more tears, no more pain, and no more broken hearts (Revelation 21:4). Let that promise sink in and encourage your weary heart! Today's church is full of buzz words -- holy huddle, Connecting Point, and Lone Ranger Christians are just a few. What the heck is a Lone Ranger Christian and what does it have in common with the other two? For a long time Christians have been accused of congregating in holy huddles, the equivalent of a Christian clique. We find our comfort in the fellowship of those with similar interests and convictions and are reluctant to venture outside our holy huddles to embrace those who struggle with abuse, addiction, or other "sins" that might rub off on us. A couple of years ago my church decided to revamp the whole idea of Sunday school by changing the name of our classes to Connecting Point classes. Although initially I thought it insane to break tradition and change the name of a longstanding aspect of church life, I realized that the reason was to emphasize our need as Christ followers to be connected with those in the church. Our church has encouraged not only involvement in the various ministries there, but has also emphasized our need as individuals to develop relationships with other believers through Connecting Point classes and small groups. Lone Ranger Christians tend to live life apart from the fellowship of those in the church, attending Sunday worship on occasion but never getting involved in the body life of the church. They don't attend Bible studies, fellowship activities, or Connecting Point classes because somehow they don't feel it necessary for their spiritual well being. They are saved and read their bibles and that is enough for them. But what happens when they face a personal crisis, such as declining health or the loss of a loved one? Even the Lone Ranger needed a companion to talk with in the solitude of the frontier, didn't he? He learned the value of being connected with another human being, even though he and Tonto probably had little in common. The Lone Ranger stepped out of his "white man" huddle, setting prejudice aside to befriend the Indian who would become his faithful companion. Together they made a great team and did much to maintain peace on the wild frontier. God established fellowship in the Garden, when he created Eve as a helpmate for Adam, recognizing Adam's need for support and companionship. That need has never changed. Although God is all-sufficient and ever-present, we need to be in fellowship with other Christians if we are to grow in our relationship with the Lord and find help in our time of need. There is a Tonto out there looking for his "kemosabe", or faithful friend. If you feel like the Lone Ranger, then go find your Tonto! Start by getting involved in your local church and nurturing friendships with those you'll be with for all eternity. Yesterday I walked outside and saw one of these cars, something you don't see everyday. In case you aren't familiar with Google Maps, this is one of many cars used to capture street view shots for the mapping program. I suppose the camera was taking updated photos of the streets in our neighborhood since the photo for our address is dated April 2010. Wonder what it must be like to have that job. I wonder if I will appear in the updated photo. Something else you don't see everyday is the Supermoon, which is scheduled to take place tonight (5/5/12). At approximately 10:34 p.m. the full moon will be its closest proximity to the earth this year. Life is full of extraordinary things, uncommon experiences, and unexpected delights for those who are willing to venture outside the walls of their houses or step outside of their comfort zones. Why settle for the ordinary when so many extraordinary opportunities await you? One of the most beautiful love songs ever written is "Unchained Melody," made popular by The Righteous Brothers in 1965. In all the years I have listened to this ballad I have never quite understood the title. What does "unchained melody" really mean? When I walked outside this morning the birds gave me the answer to that question as they poured forth a loud and joyful song, a song they sing all day every day, come rain or come shine. Their unchained melody is a song of praise to their Creator and they sing it freely, unhindered by the cares of their earthly existence. Sure, they don't carry the weight of the world on their shoulders as many of us do, but they sing throughout the day as they call to their mates, signal to their babies that lunch is on the way, and set about building their nests and looking for food. Neither work nor bad weather deter them. They sing because that is what they were created to do. God created us out of his love for us, and he desires that we love and worship him. He also created this beautiful world for our pleasure. Yet so often we get too busy to take time to simply listen to the birds, smell the roses, and thank him for our physical senses which allow us to revel in his creation and experience his glory. We need to take a lesson from the robins and learn to whistle (or sing) while we work. The greatest offering we can bring to the Lord is our sacrifice of praise, our unchained melody. A Christian’s life is supposed to be one of triumph and victory over the challenges and perils of living in a fallen world, right? But many of us live in fear of those things we cannot control, such as our finances, illness, and the loss of those people and things we hold dear. Many of us fear rejection, loneliness, and insignificance. What happened to our victory in Jesus? When did we become such spiritual wimps that we are no longer a match for the enemy who seeks to steal, kill, and destroy every evidence of Christ in us, the hope of glory? Have we forgotten that we serve a God that is bigger than our enemy, is well able to handle every challenge we face, and who is the same yesterday, today, and forever? We have all seen our share of trouble and many of us have at one time or another wandered away from our spiritual roots in Christ. Most of us have experienced the protective and provisional covering of God’s grace and mercy, often being spared the full consequences that our sinful actions deserved. Despite God’s abundant grace and favor toward a loved one, I have recently found myself living with the crippling fear that he might not recognize God’s grace for what it is and slip back into the self-destructive habits from which I have prayed fervently for God to deliver him. Even worse, I have voiced my distrust, focusing on his previous mistakes instead of the promise that God has a good plan and purpose for his life (Jeremiah 29:11). When I suffered a mild anxiety attack because of these things I began to pray for God to reveal to me the real reason for my fear. The answer I received was not what I expected but it made total sense and put me at ease for the first time in many months. God revealed to me that my fears, which really have no merit and certainly are not from him, are in fact evidence of my lack of faith in him to keep the promises he has given us in his Word. To hear God say, "It's not that you don't trust so-and-so, but rather that you don't trust Me," was very convicting. What is it that you fear today? Unemployment, financial ruin, catastrophic illness, or the downward path that a loved one has chosen? Remember, “God is our refuge and strength, an ever-present help in trouble. Therefore we will not fear, though the earth give way and the mountains fall into the heart of the sea, though its waters roar and foam and the mountains quake with their surging” (Psalm 46:1-3, NIV). Even though your life may feel like it is spinning out of control, God is still in control and he will never leave you or forsake you (Joshua 1:5).